I've finally gotten my hard drive problems straightened out and have all the pictures retrieved from the broken one. So, oodles of posts forthcoming ... in no particular order. River gets bored at times while the kids do schoolwork. Totally understandable, they are stuck at the table in the "no zone" (no play during school area), and he's wanting someone to hang with and play with. I try to do at least one project with him every day to alleviate his boredom and to incorporate a little more no-pressure learning into his day. This project was super simple, but provided a good hour of fun. Water play is always a winner and is a good "go to" activity. Throw in color-mixing, measuring, and ice ... oh yeah, it's surefire. I only had three colors of food coloring to work with - yellow, green, and blue so I put a bunch of yellow and blue food coloring with water in two containers. 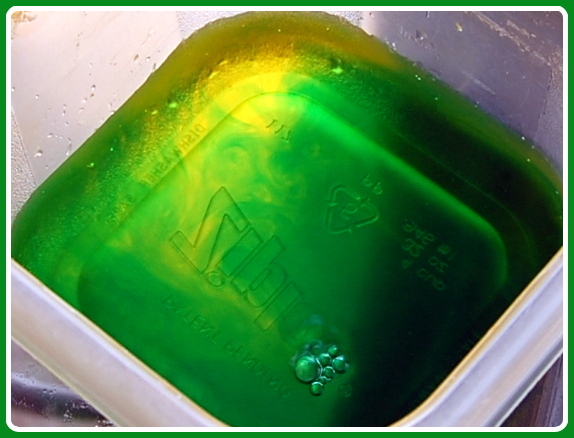 I gave River four more containers and a measuring cup, and watched his amazement as he created various shades of green - from yellow-green to dark turquoise. He really grasped that yellow and blue make green, and that differing amounts of color created very different results. Eventually all the containers contained similar shades of green. Then out came the ice cubes, because he wasn't done playing. More mixing and experimenting, as well as plenty of melting. This is a great project for youngsters age 1 and up. Little ones are happy to experiment with water. 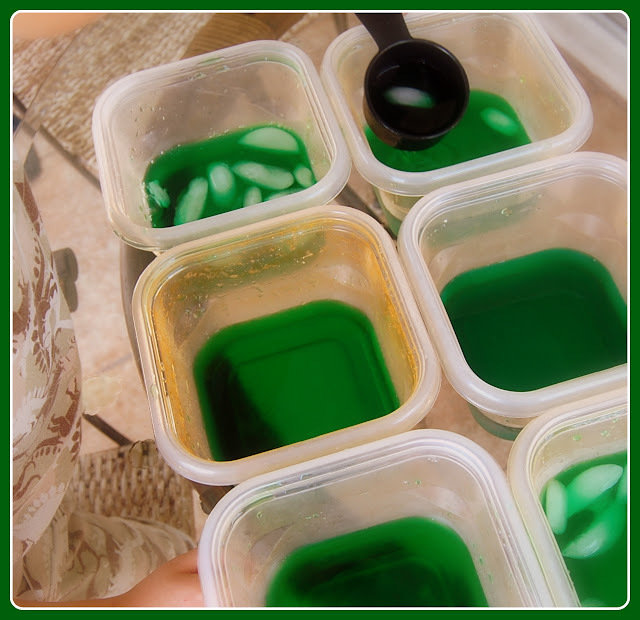 Older preschoolers can measure, mix and create colors, and learn about melting and diluting. I learned a little too - most of the boys experience some sort of color blindness. Kaden is very red/green color blind. When mixing the green with blue the result was blue/green. He thought it was purple, which seemed odd until I recognized that if he saw the green as red and that was mixed was blue it would make purple. Very interesting.